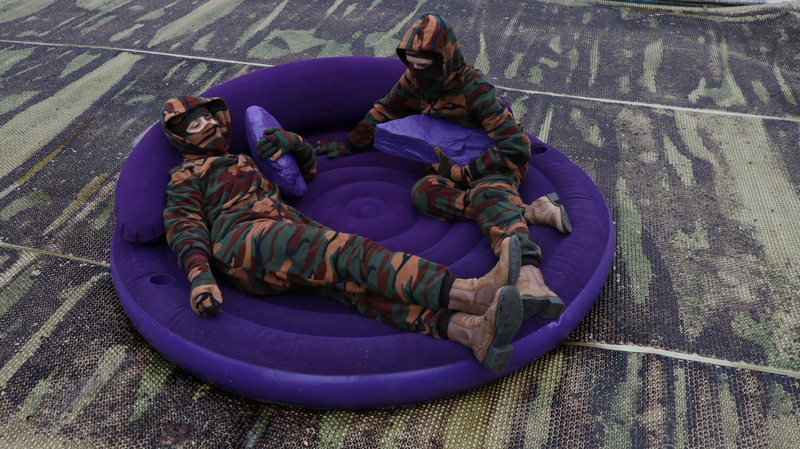 Opening on 17th May 2019, Block 336 presents, Another Funny Turn, the first UK solo exhibition of work by artist-duo, Sarah Cockings & Harriet Fleuriot. In this exhibition, the artists take performative possession of their confused teenage selves, reviving dormant personal coping mechanisms to survive their thirties. Responding to both individual and collective motivations behind the consumption of gaming and horror films, their sculptural sound and video installation delves into a disorientating wilderness of dramatic rehearsal driven by catastrophic thinking. Rocks judder, bushes smirk, shadows twist and walls breathe. Only relics remain. Using deliberate aimlessness executed with military precision, they encounter and test the terrifying and entertaining indifference of nature, lurking and idling amid overgrown ruins whose purposes have morphed. Follow them as they haunt their way along a rambling Hero’s Journey. 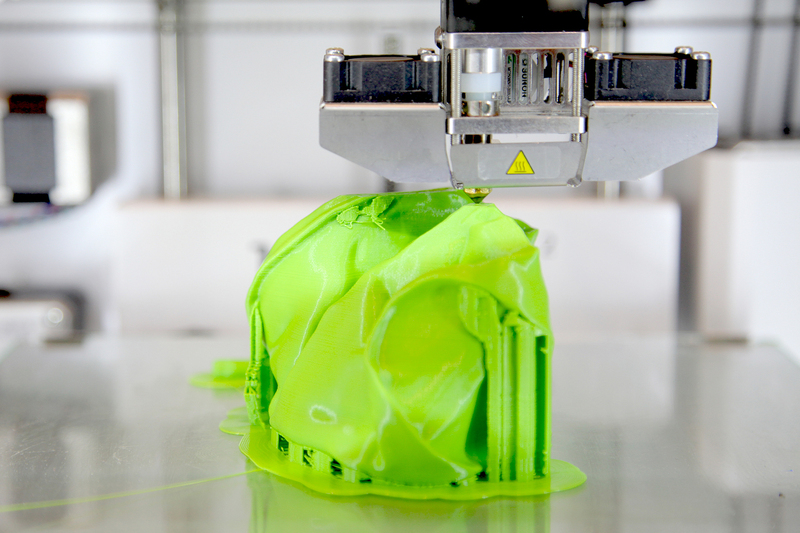 Process Accelerator 2.0 was a large scale installation, comprising video and 3D printed sculptural objects, by Finland-based artist Anu Suhonen. 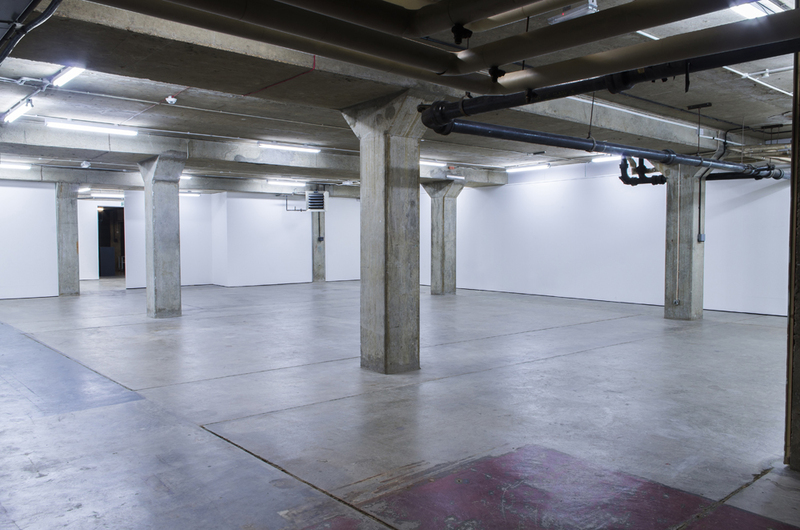 The exhibition presented a factory that chases maximum productivity, reflecting on late capitalism’s push for constant economic growth. Like a snake eating its own tail, Process Accelerator 2.0 exploreed technological advancement; mass production; and short-lifespan goods, considering the effects this vicious circle has on the environment and its limited resources. 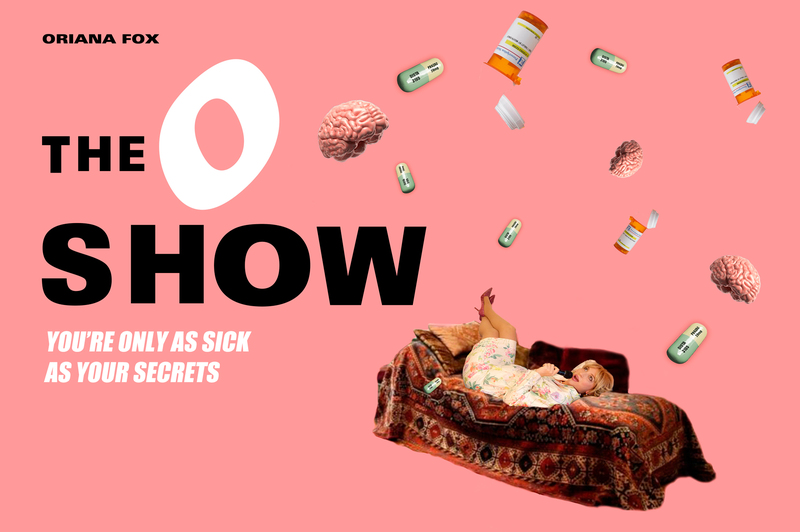 For more information and images from, The O Show: You’re Only As Sick As You Secrets, held in December 2018 please click here. An edited video of the show is coming soon and will be able to view in 2019. Spaces at Block 336 are available to hire. Please note that they will not be rented for exhibition purposes. Please click here for more information.